There are some roles that almost seem as though they are forever cemented in the history of Hollywood thanks to the incredible people that bought them to life. The likes of Johnny Depp bringing Captain Jack Sparrow to life in the pirate fantasy franchise Pirates of the Caribbean, and Lisa Kudrow playing the part of Phoebe Buffay in the sitcom Friends are just two of the many that have wowed and amazed us over the years. Could anyone else really ever give the characters the love and dedication they deserve? It seems as though we could have almost found out. 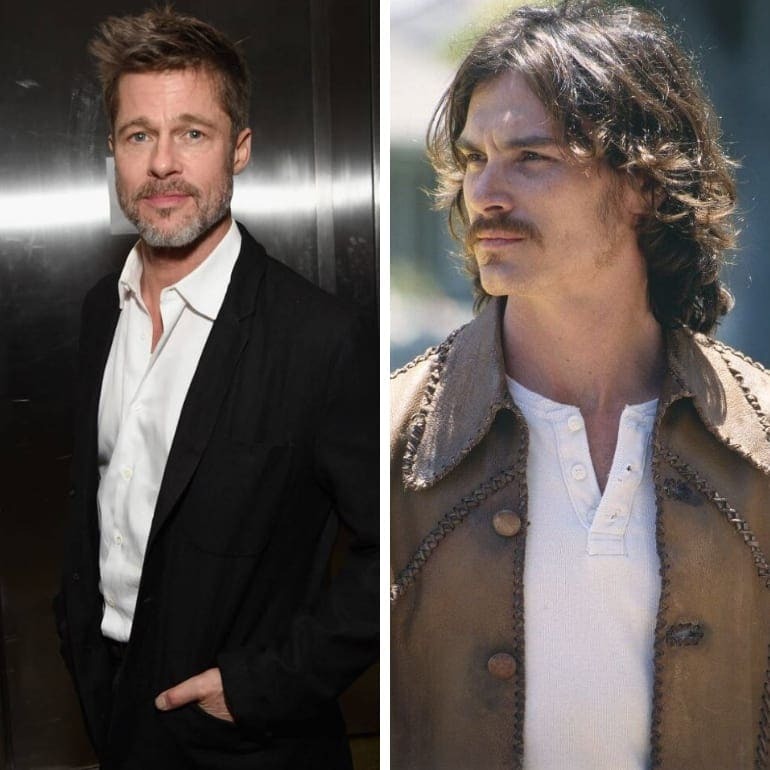 That’s right; there are a host of stars you didn’t know auditioned for these roles and could have changed the entire vibe of the TV show or movie. Oh, how different things may have been. This fantasy franchise first took the world by storm back in 2008 as thousands of people from all around the world suddenly found themselves choosing team Edward or team Jacob. It was vampire vs. werewolf, and apparently actor vs. actor. 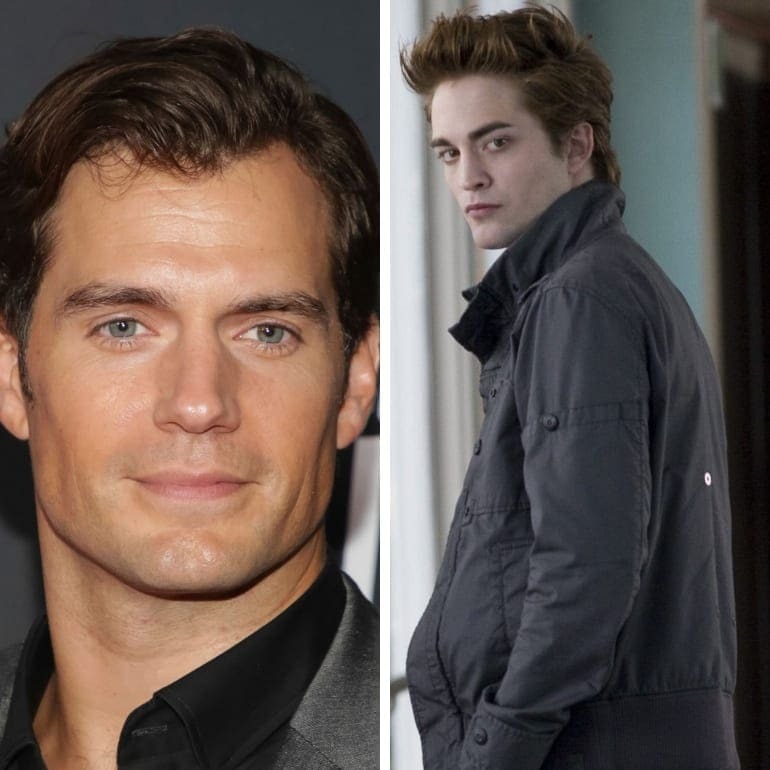 Stephenie Meyer was the creative genius behind the books and was reportedly desperate to see Henry Cavill bring the leading vamp to life. Unfortunately, it wasn’t up to the author. Although Henry had been told how he was first in line for the part, the studios had other ideas. It turned out that they were keen to work with the up and coming actor Robert Pattinson who had been spotted in the fantasy franchise Harry Potter just a few years before. The romantic disaster movie broke many hearts all around the world after we watched Jack and Rose fall for one another before finding themselves involved in the Titanic accident. 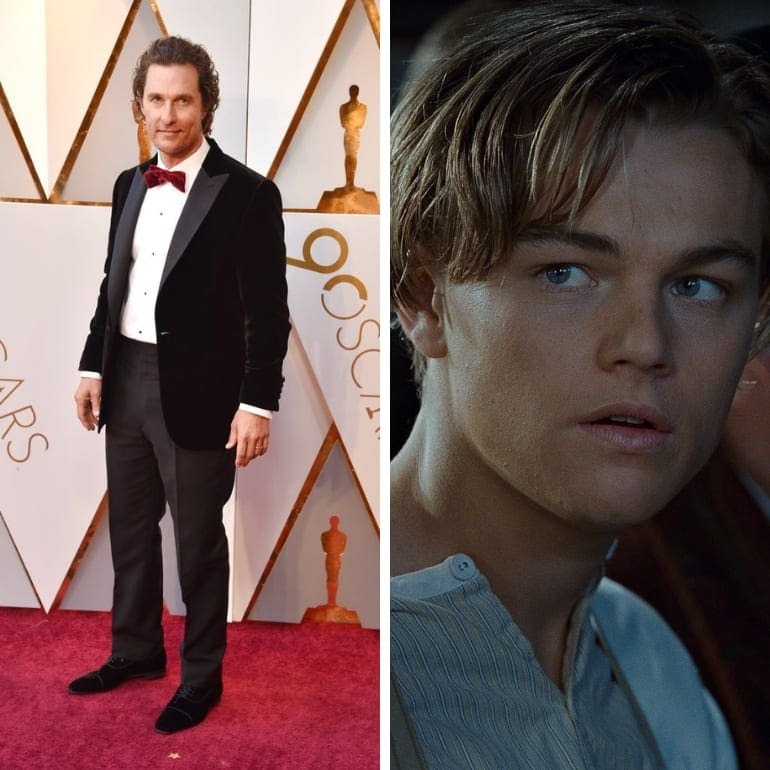 Although we have spent many years watching Leonardo DiCaprio make the ultimate sacrifice as he gives up his space on that board, we almost had to see Matthew McConaughey play the role instead. That’s right; the actor admitted on the podcast Awards Chatter that he went in for an audition and felt as though he had nailed the part. To top it off, Matthew was even lucky enough to act opposite Kate Winslet in the audition. Apparently, impressions were deceiving as Matthew confesses he never received a call from the studios. The actor hopes that it was never down to an error from his acting agent, but is still devastated that he didn’t get to bring Jack Dawson to life. While talking about Titanic, it seems as though Kate Winslet was almost out of a job, too. The actress was talking with Howard Stern when she admitted there is more to the story than her turning down the role. According to Gwyneth, she made it to the final two choices and was about to go head to head with Kate. 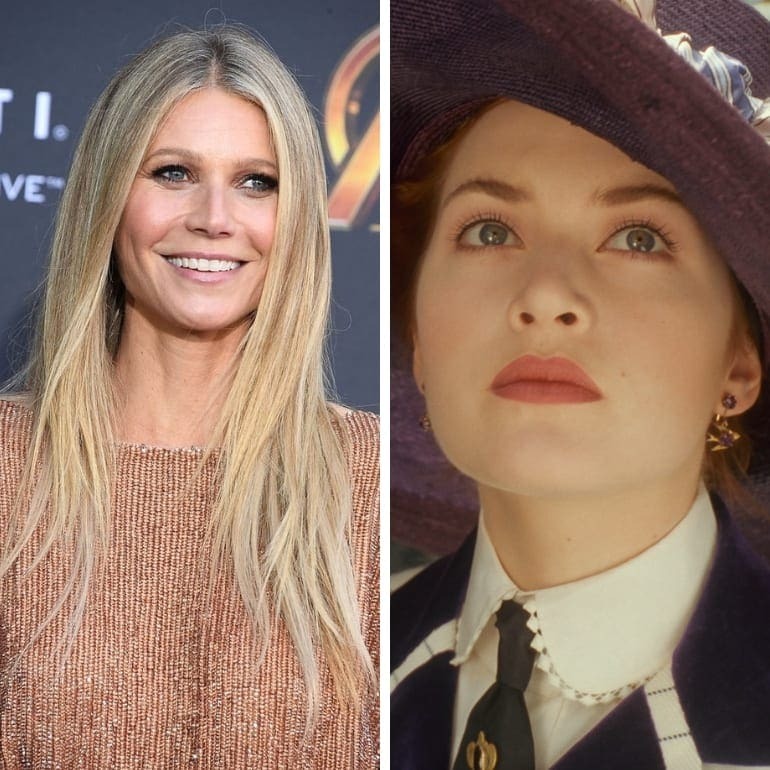 Although Gwyneth gave it her all, the studios ultimately went with Kate for the part of rose – a character that was about to catapult her to the top of Hollywood. Thankfully, Gwyneth isn’t bitter about the role going to another actress and says that it just helped to teach her a lesson. It might be a tough way to learn, but Gwyneth states that missing out on the opportunity of a lifetime highlighted how important some of our decisions really can be. When creating a show, it seems as though many people have an idea of the kind of person they want to play the role. However, Lena Dunham, the creator of the comedy-drama Girls, wanted to see the talent she had on offer. At the time, Amy Schumer was an up and coming actress and wanted to land the role of Shoshanna Shapiro – the Juicy Couture loving character. Apparently, everyone was taken back by Amy’s performance. This comedian left the room stunned with her level of improv and the amount of talent she had filling the room. Although Amy missed out on the part, everyone agreed the actress deserved her own show. 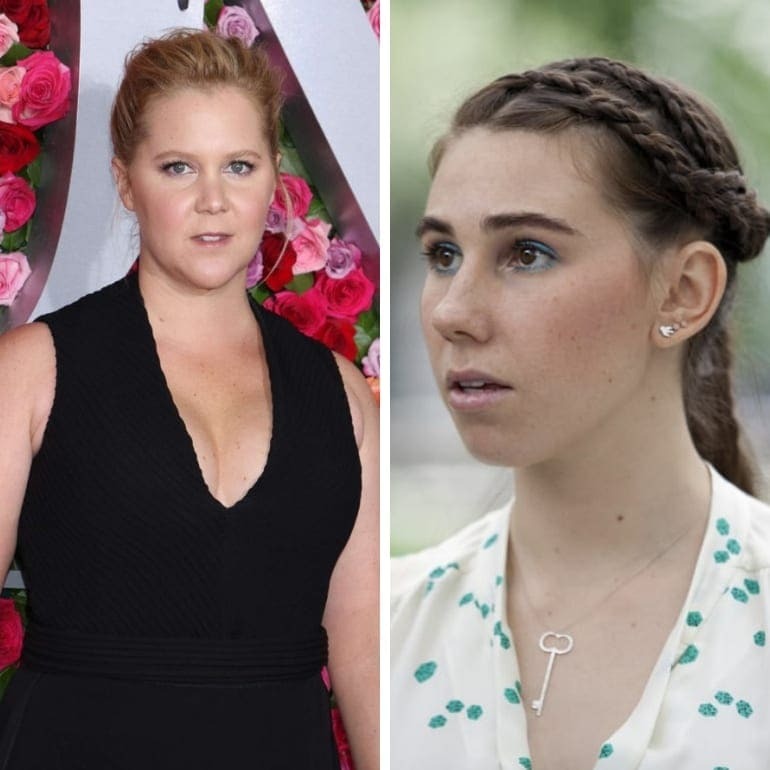 The role of Shoshanna eventually went to Zosia Mamet, while Amy later returned to play Adam’s new girlfriend’s best friend in season two and season three. 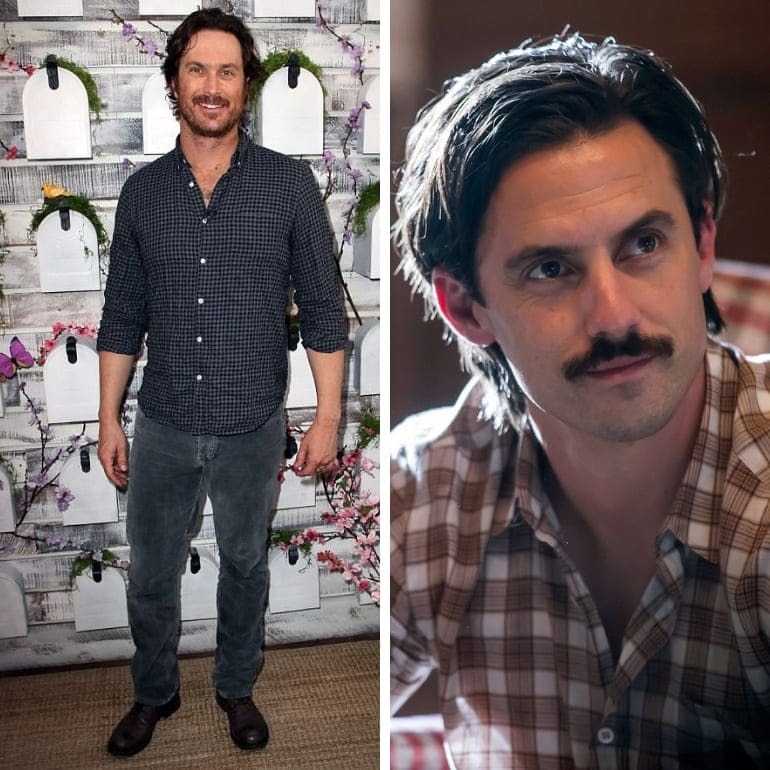 The father of the show, Jack Pearson, has been brought to life by none other than Milo Ventimiglia since the beginning of the show. However, if it wasn’t for a fishing trip, then we could have seen another actor take on the role. That’s right; Oliver Hudson went in to read for the part back before the series hit our screens. It turns out the actor was a sure-fire choice for the production crew, but Oliver had other plans. Oliver admits that he got a call from his agent asking him to go back in for another audition. The problem? He had a 10-day fishing trip planned. Although many would have changed their plans, Oliver confesses that he loves fishing so much that there was no way he was going to cancel his trip. Instead, the part was handed over to Milo, and the rest is history. 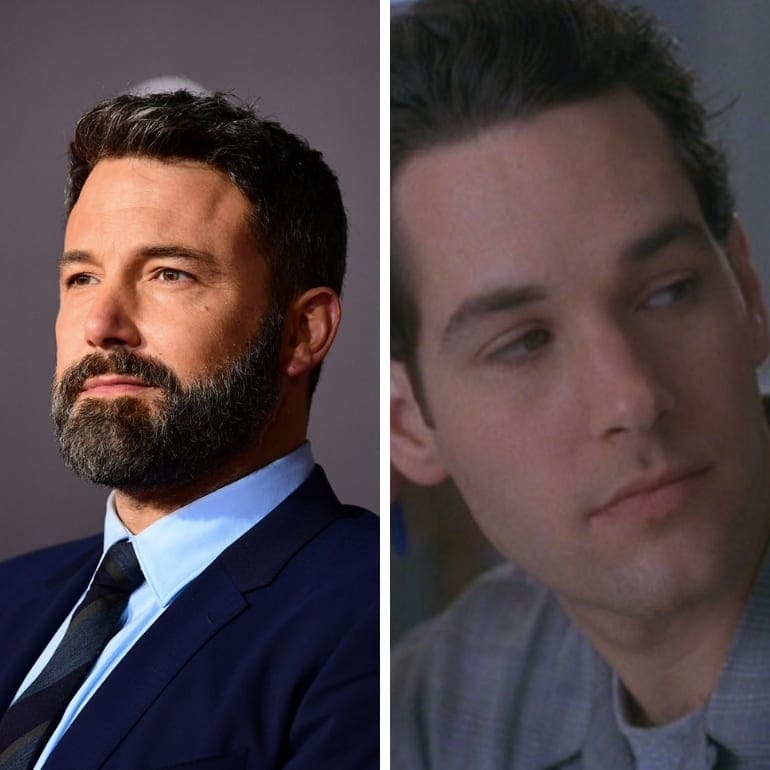 Paul Rudd has been in many hits over the years, including the romcom Clueless. Carrie Frazer was initially in charge of casting and brought in none other than Ben Affleck to audition for the part of John Lucas. Although Carrie was determined to see the actor play the role, the movie was soon picked up by Paramount. Apparently, the studios wanted Carrie to work for free, and she walked away – taking Ben Affleck with her and leaving the part open for Paul Rudd instead. Quentin Tarantino is the mastermind behind the Western movie Django Unchained. 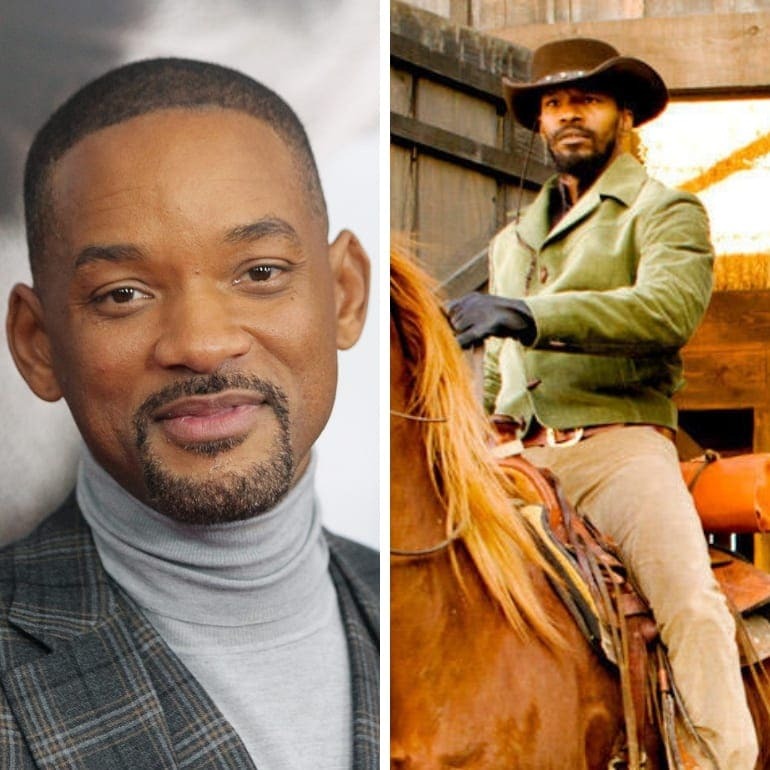 The writer and director wanted to see Will Smith take on the starring role of Django Freeman, but things soon headed south. Apparently, Will has earned a reputation for wanting to have a huge say in his parts. The actor wanted Django to be the clear lead rather than sharing the spotlight with Dr. King Schultz. Quentin wasn’t impressed, and they soon parted ways meaning Jamie Foxx took on the role as his replacement. The musical comedy-drama Chicago is just another notch Renée Zellweger has under her belt, but that almost wasn’t the case. In fact, Charlize Theron admits that she grew up dancing her entire life and wanted to play a part in the movie. The actress was even offered the role of Roxie Hart by the first director until they were fired. The new director didn’t want to keep Charlize for the character, and the actress has been left devastated ever since. Game of Thrones is the fantasy drama that seems to have taken over the planet over the last few years. The cast almost appear as if they were born to play the roles. However, there were some tough decisions to make when it came to casting Jon Snow. 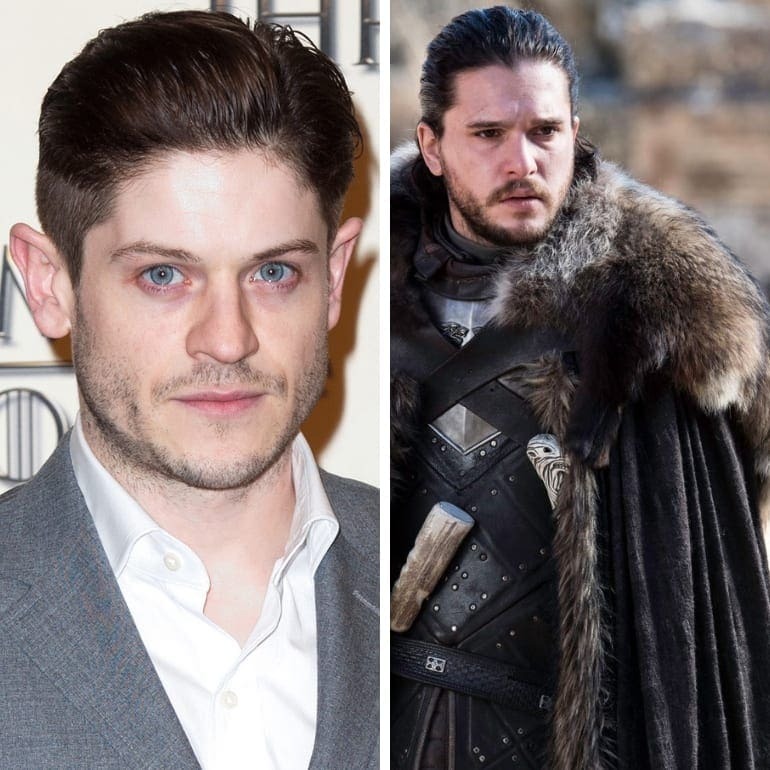 Initially, it was none other than Iwan Rheon who auditioned for the part. Although the character was eventually handed to Kit Harington, the series was able to cast Iwan as the part of Ramsay Snow to keep him in the show. Lillian Donovan is just one of the many leading characters in the comedy movie Bridesmaids. 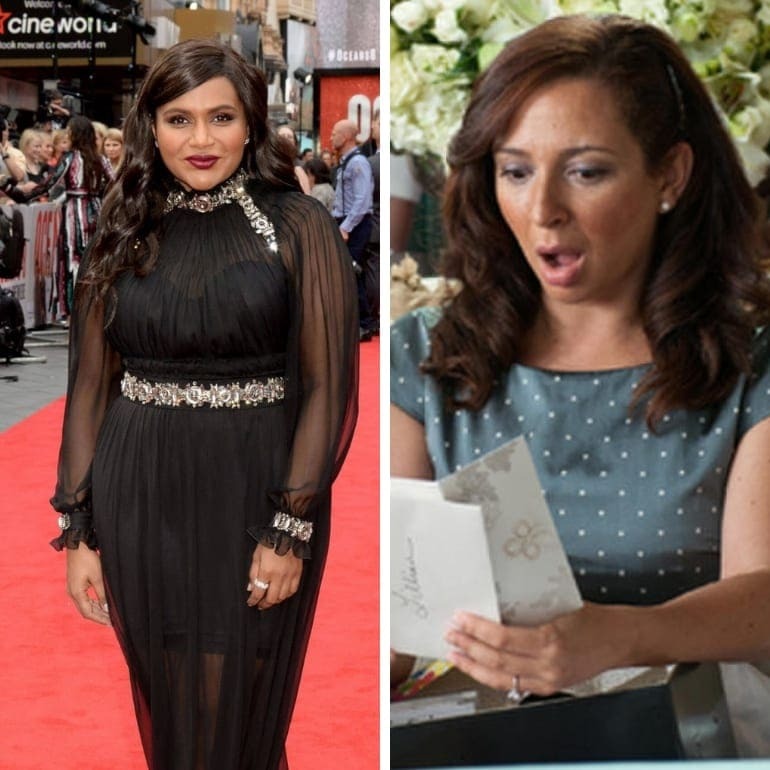 Although Maya Rudolph was eventually the one to land the role, she almost lost out on the part to Mindy Kaling. The comedian admitted that she had been practicing as much as possible and immediately fell for the character. Sadly, her dreams were about to come crashing down around her as Mindy learned that the film had decided to cast Maya. The comedian admits it “was a heartbreaker” to miss out on the movie. Almost Famous is the comedy-drama movie that follows the tail of a journalist and the fictitious band, Stillwater. The creator of the film, Cameron Crowe, confesses that he wrote the group with one actor in mind: Brad Pitt. Thankfully, Cameron was soon able to track down the actor, and they even began to shoot the film. That was until creative differences started to get in the way of the schedule, and Brad left the movie. Cameron soon found Billy Crudup to step into the shoes of Russell Hammond instead. Many have tried to bring superheroes to life over the years. It wasn’t until Chris Hemsworth stepped into Thor’s shoes that this character went down in movie history. Although it can be tough to imagine anyone else as the character, it turns out that Tom Hiddleston was desperate to play the role. The actor even gained 18 pounds to try and fit the part. 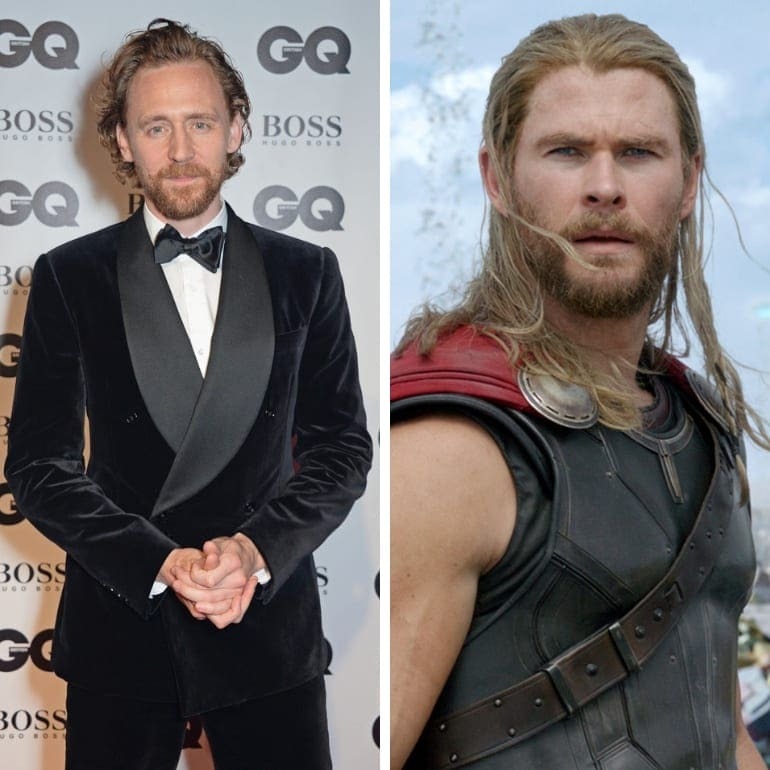 Despite his best efforts, the producers thought Tom fit the role of Loki, and thankfully they were yet to find the perfect person to bring the bad guy to life. Initially, Olivia heard that she was “too sophisticated” to play the part of Naomi Lapaglia in the film but later heard that she was “too old” instead. The part eventually went to actress Margot Robbie. 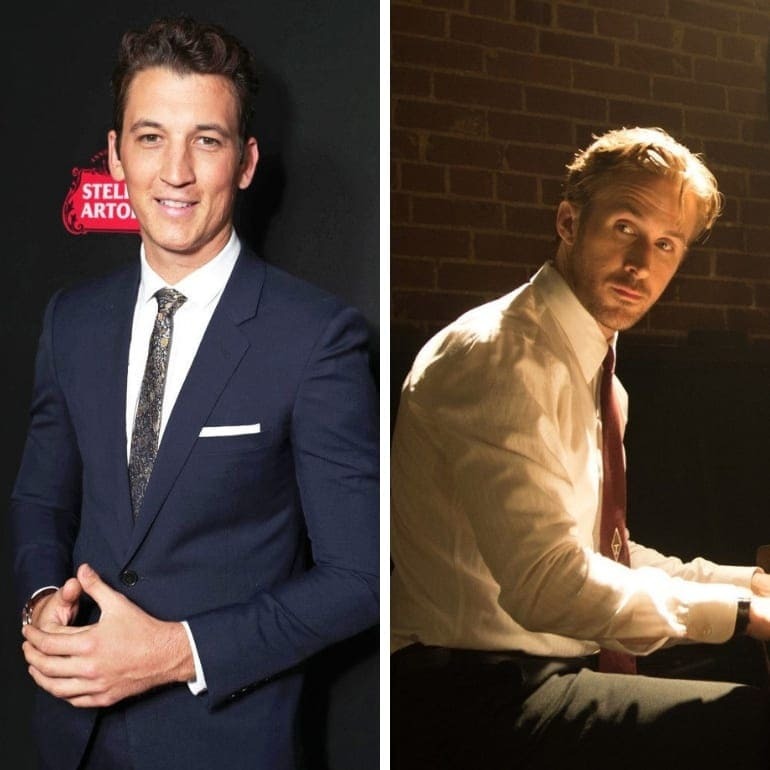 Could you imagine anyone else other than Ryan Gosling playing the part of Sebastian in the musical movie La La Land? We thought not. However, that was almost a reality. It’s said that Miles Teller was initially cast in the role. That was until he had conflicting schedules with the comedy-drama War Dogs. Although Miles was ready to quit the other movie, the actor got a call saying the studios had decided he was no longer right for La La Land and he didn’t have to return to the set. Many have argued that the late Heath Ledger’s role as The Joker was one of the most inspirational and memorable of all time. In fact, Heath was the one to design The Joker’s makeup and even locked himself in a hotel room for six weeks to get into the role. However, the actor was once hoping to play a very different lead in the movie. Before Heath was cast as the villain, the actor wanted to play the part of Batman himself. 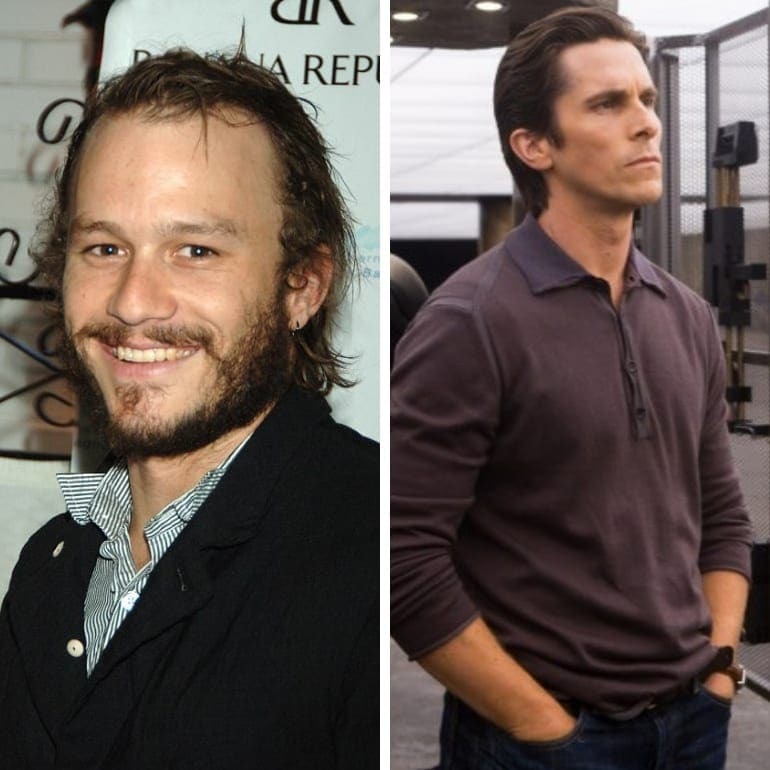 Instead, Heath starred opposite Christian Bale in the movie. The romantic action film is said to be the spark that set Brad Pitt and Angelina alight. Many report that the actors fell for one another while filming the Mr.& Mrs. Smith. So what about if Gwen Stefani was cast in the role instead? Yes, the musician confessed to Howard Stern that she was battling her way through the audition process when she was left with a tough decision. Gwen opted for a career in singing over acting meaning the role was Angelina’s for the taking. 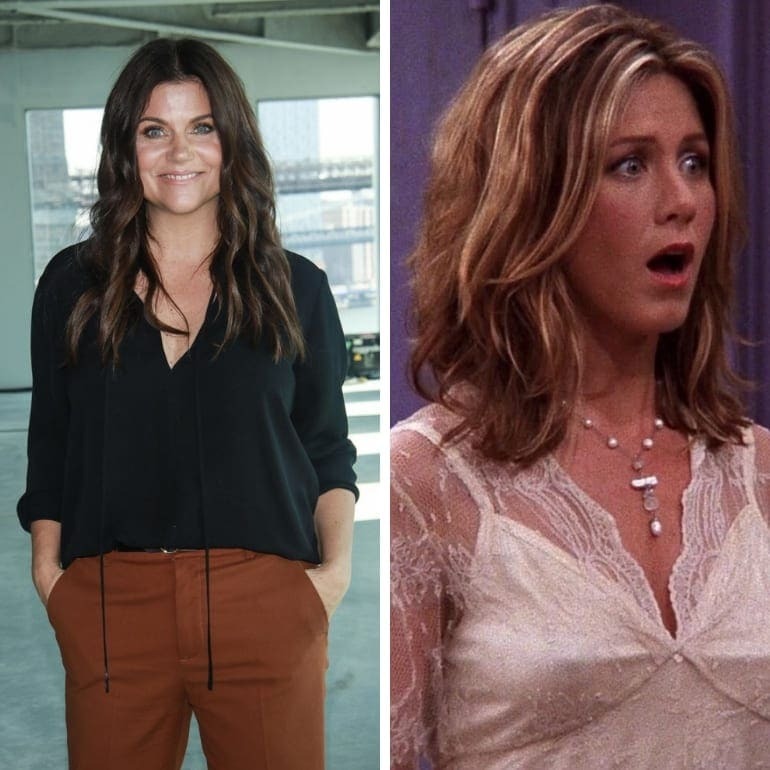 Jennifer Aniston was just one of the six leading characters to create one of the greatest sitcoms of all time: Friends. Who else could have pulled off that wedding dress or kept Ross on his toes all those years? Tiffani Thiessen had risen to fame on the sitcom Saved By the Bell and was determined to continue her career in Hollywood. That was until the actress realized she was too young. 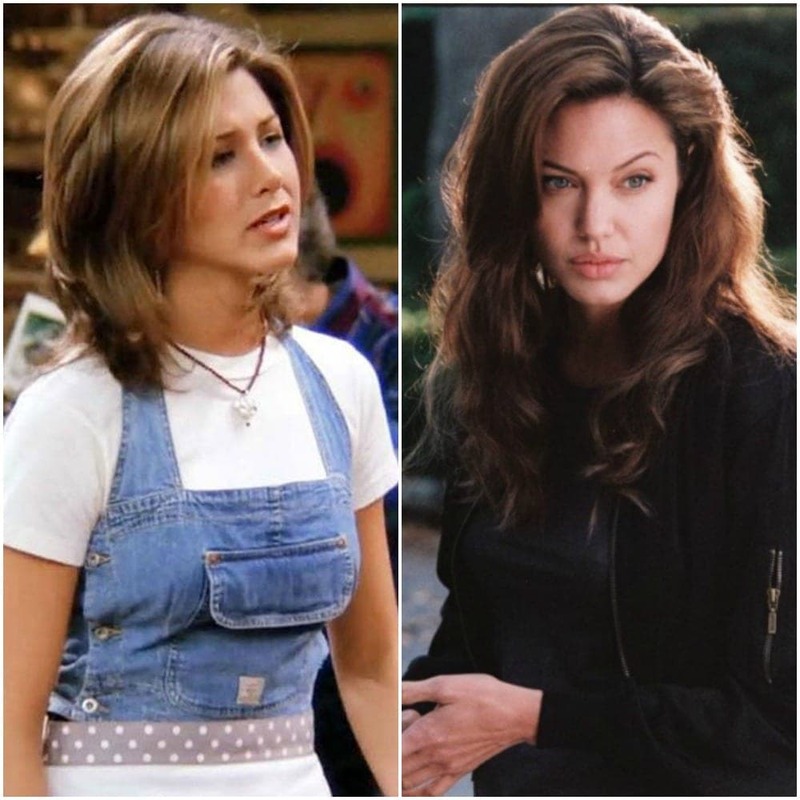 Jennifer was the youngest cast member at 25 when the show premiered, and Tiffani was only 20 years old at the time.